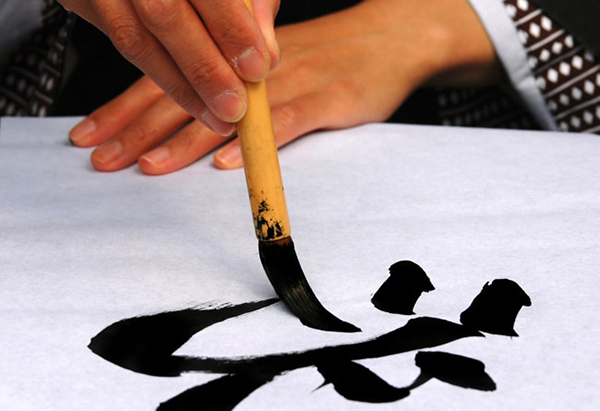 The Centre for the Artistic Development of Children and Youth in Shelehov (Irkutsk region) has become the venue for workshops on Japanese calligraphy. This activity is dedicated to the 40th anniversary of the friendly ties between the town of Shelehov and its sister town of Nomi. Another workshop took place at Shigeki Mori museum. The participants learned about the traditions of the ancient art of calligraphy, about the skill of drawing the hieroglyph meaning “happiness” in one move. Then they were given sheets of rice paper, brushes, and ink, and the teacher taught them how to draw this character. Visitors of the museum also visited an exhibition dedicated to the Russian-Japanese friendship. The exposition featured dolls, vases, paintings, kimonos and other objects of Japanese culture. According to the Shelehov administration press service, the 40th anniversary of the friendly relations with Japan will be celebrated in the region in 2016. Every year delegations of adults and children visit sister towns in Japan, study the history and culture, exchange knowledge with the Japanese.